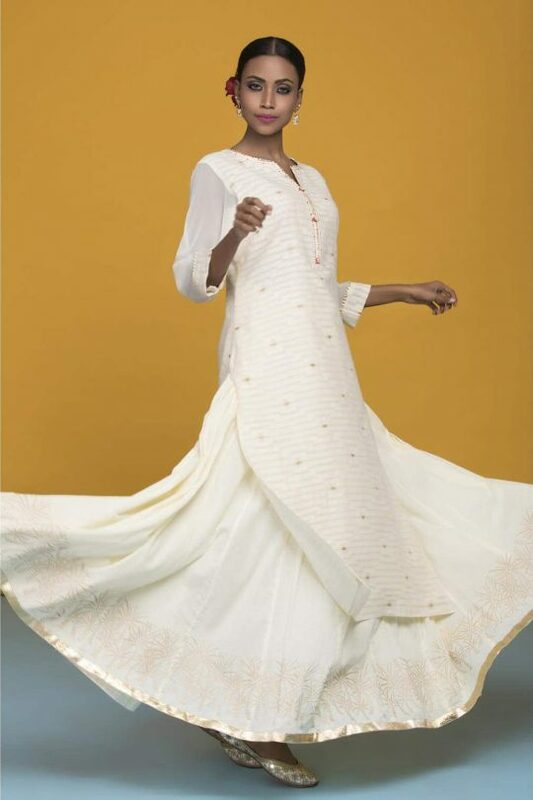 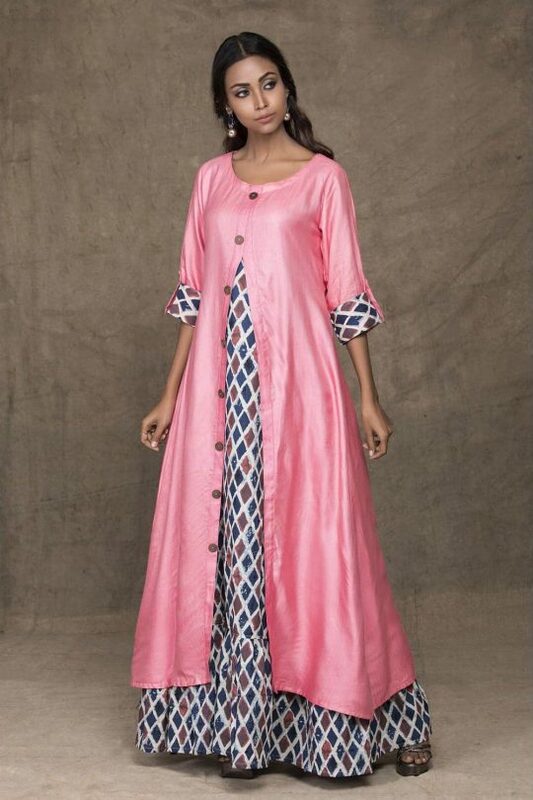 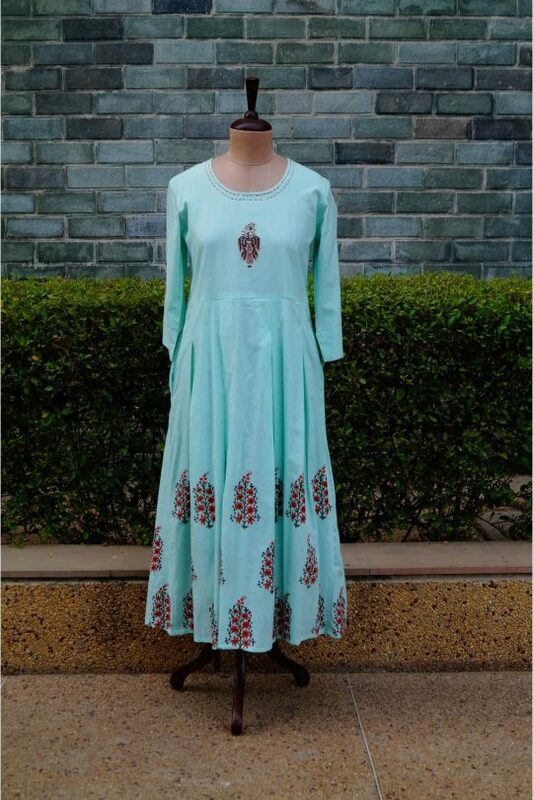 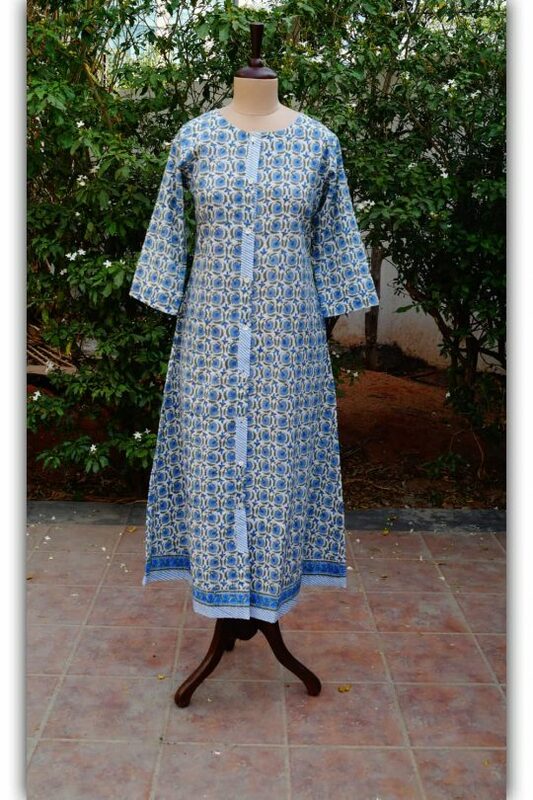 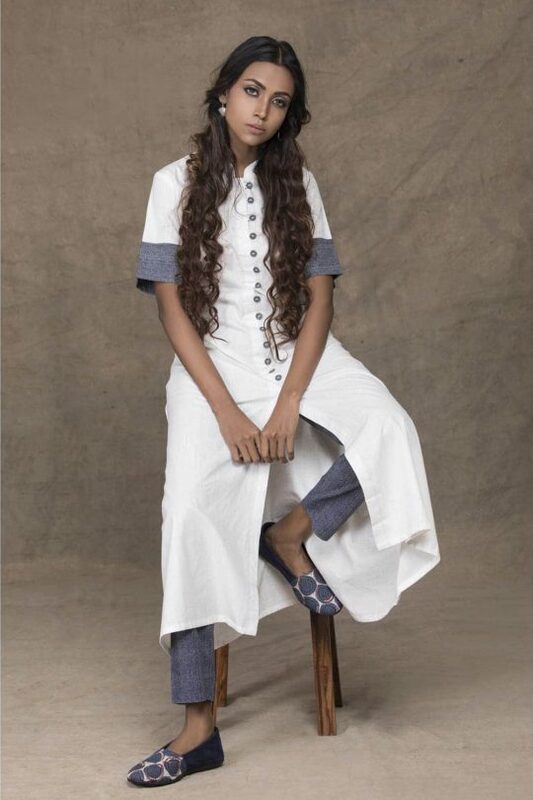 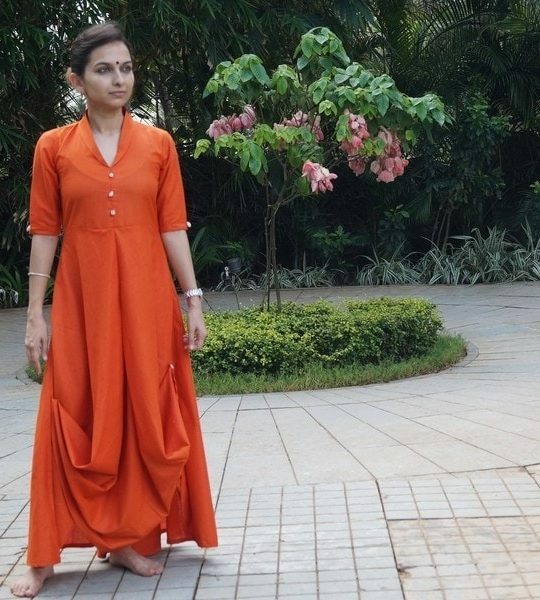 This is a perfect Mid-length perky wear dress/ kurta, with front two pockets. 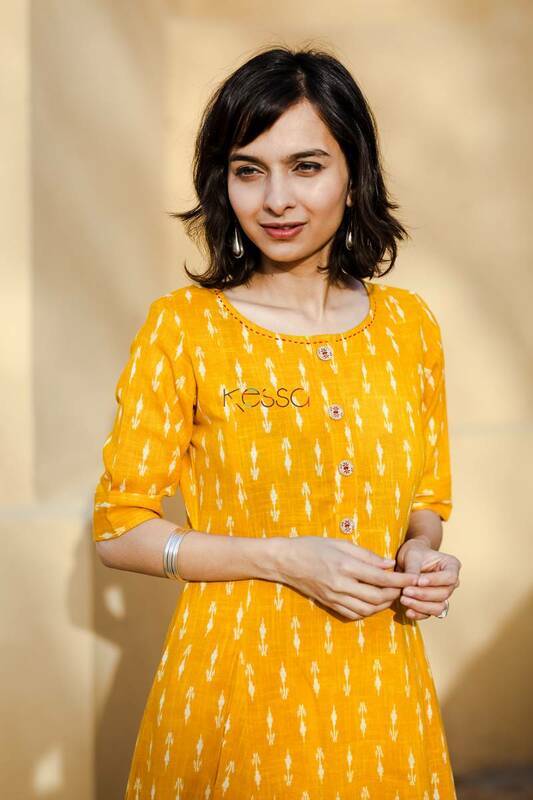 It can be worn with our Silver Earrings. 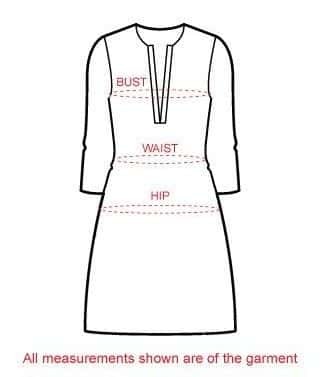 This can be worn with cream pants too.